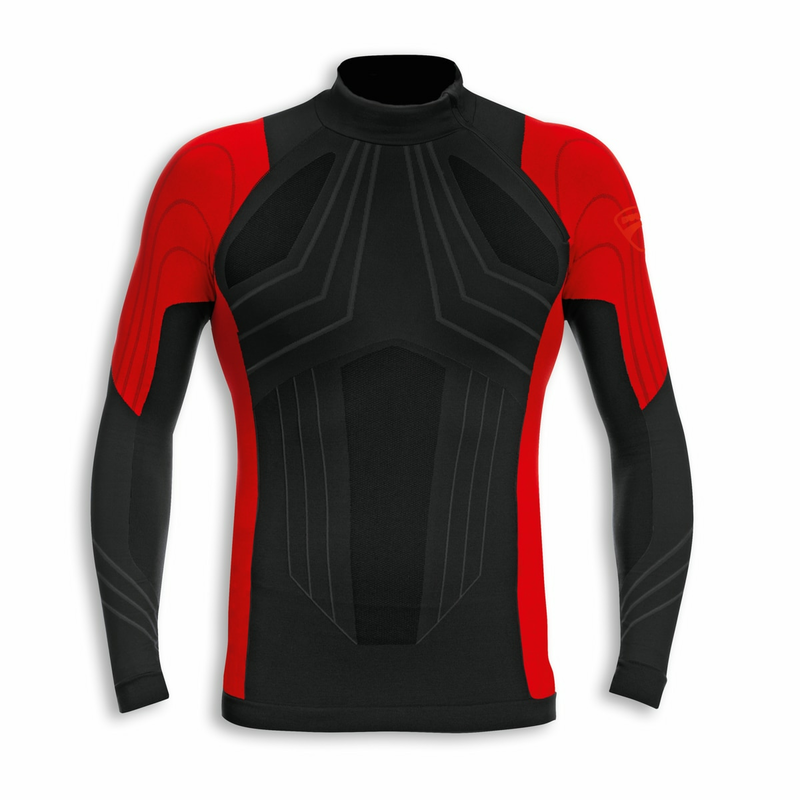 The long-sleeved Warm Up T-shirt is made with Dryarn®, an innovative light filament that is both insulating and breathable. The fibers used guarantee thermal insulation against the outside, absorbing humidity and sweat before they come into contact with the skin. The seamless technology used in production reduces friction from the stitching and guarantees an excellent fit without restricting freedom of movement. 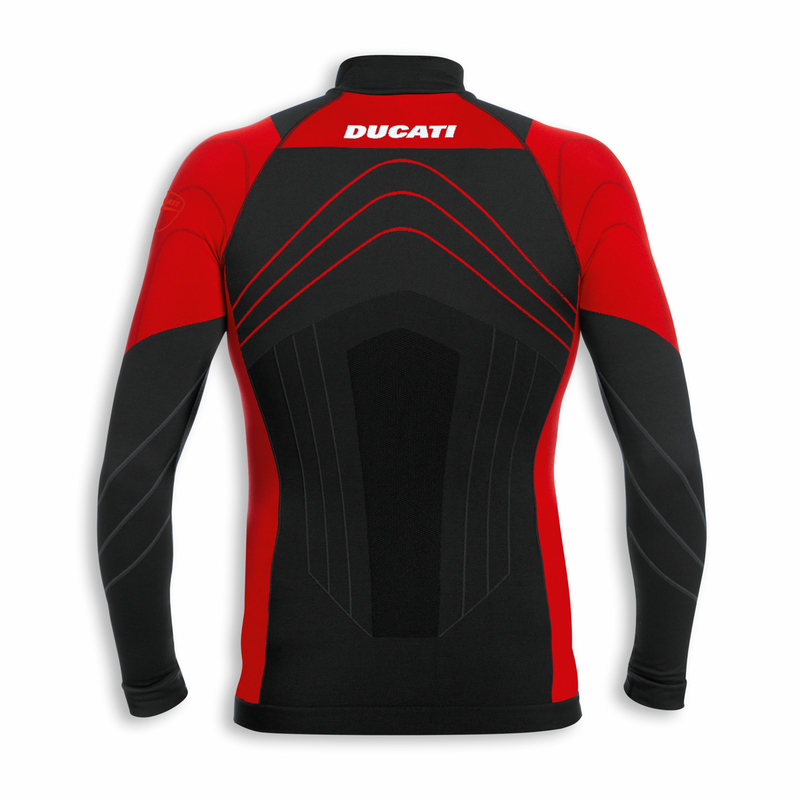 In perfect Ducati style, it can be worn under a technical jacket or on its own, visible to all once you get off your bike.